As we expand our technological footprint, our environment grows. Our risk grows with it. While we have made advancements in dynamic environments we have done little in the security space. Threats come and go, and our ability to quickly respond to the situation is lackluster at best. We block attackers by updating block lists and running deployment scripts. This takes time and can lead to availability issues. Join Aaron as he walks through creating an environment that can quickly respond to web based threats as they appear. You will walk away with the ability to respond to malicious actors in near real time with no configuration updates or deployment scripts. You will also learn some tricks for identifying malicious actors and stopping them before they become a problem. 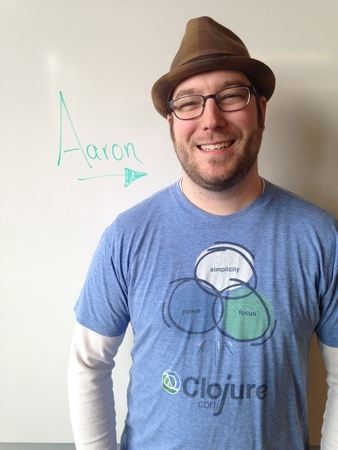 Aaron is a Principal Engineer at Groupon. He is the creator of Repsheet, an open source threat intelligence framework. He is the co-author of Programming Clojure, 2nd Edition and a frequent open source contributor.